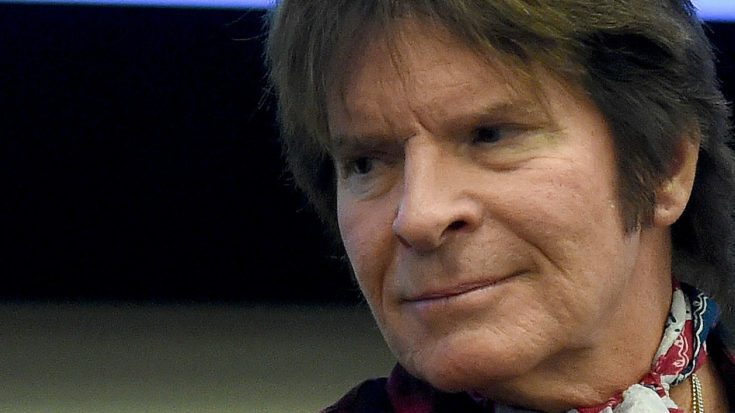 Rock legend John Fogerty took to social media yesterday with a no-nonsense statement regarding the release of director Babak Najafi’s 2018 film Proud Mary, distancing himself and his 1969 classic of the same title from the project that bears no resemblance to its namesake in either tone or subject matter. Starring Empire’s breakout star Taraji P. Henson in the lead role of Mary Goodwin, Proud Mary is about an assassin saddled with an orphaned boy after a professional hit goes awry. In contrast, Fogerty’s “Proud Mary” is one of the singer-songwriter’s most treasured accomplishments to date, its theme of “leaving painful, stressful things behind for a more tranquil and meaningful life” having nothing to do with Fogerty’s journey into legend or the story behind what he calls his “first very good song”. “This movie has nothing to do with me, or my song. They simply picked the title and wrote a completely fictitious story around it. Back in the day, I had decided that I needed to become more professional, more organized about my songwriting efforts. No one ever asked me about using my song this way, or even about the meaning of Proud Mary,” he wrote. John Fogerty is more than just a rock legend; he’s the soundtrack to our lives, his music and lyrics coloring our lives for the better part of the last half century. No matter how many covers newer artists crank out, nothing will ever trump the sheer joy we get from Fogerty’s swampy approach to rock and roll, those trademark jangly guitars never failing to take us back to times we’ll never see again and places we can only dream of. Knowing all of this, it’s more than understandable that an artist of John’s caliber would be fiercely protective of the legacy he’s poured his heart and soul into building.